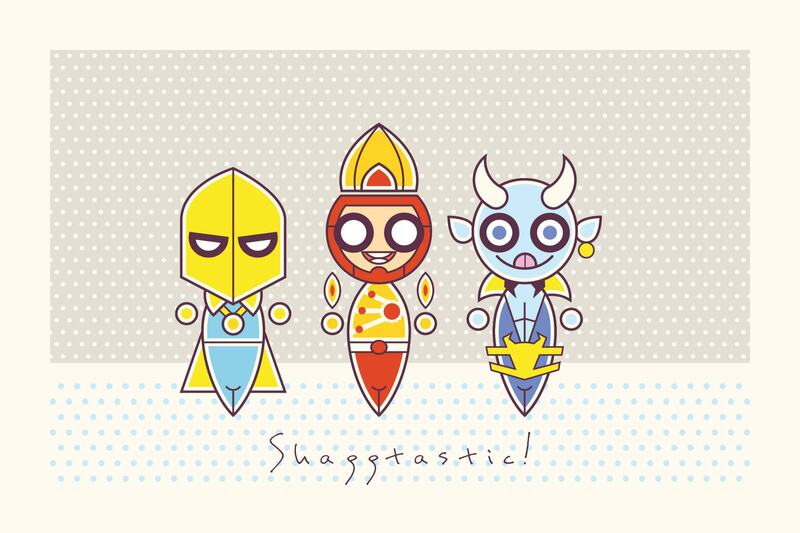 Superhero Sillies that are Shaggtastic! Given that this blog is about Firestorm, I rarely get to talk about something specific to me. Let’s face it, you’re here to read about our favorite hothead, not the random adventures of Shag. But today those worlds intersect thanks to the most dastardly creative man alive, Mr. Luke Daab! Luke has been creating a series of fun images he calls, “Superhero Sillies”. He recently pulled together the artwork below featuring three of my all-time favorite characters: Firestorm, Doctor Fate, and Blue Devil! And he tagged it with my name! I was speechless when I saw what Luke had done! Check them out below and click the image to enlarge. So much fun, right?!?!? We’ve seen the Firestorm “Superhero Silly” here previously, but this is the first I’ve seen Doctor Fate and Blue Devil! The Doctor Fate helmet totally rocks! And I love every aspect of Blue Devil, from the curved horns to his tongue sticking out! Brilliant! Luke Daab is an insanely talented artist, writer, musician and puppeteer. We’ve featured a handful of Luke’s fantastic artworks previously – click here to see those. Also, be sure to purchase the AMAZING song Luke performed with the help of David Purnell – Child of a Lighthouse Keeper: The Aquaman Song! It’ll only cost you $1.25 and it’s well worth it! You can keep up with Luke Daab via his website, Tumblr, deviantART, Facebook, and Twitter! Support Firestorm (and Luke Daab)! Fan the flame! ← News: Jurgens talks FIRESTORM, Save on T-Shirts, the Amazing Firestorm, and more! They’d make cool spinning tops!